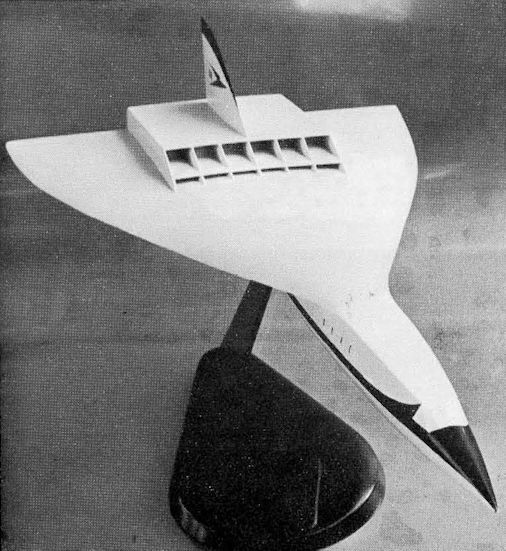 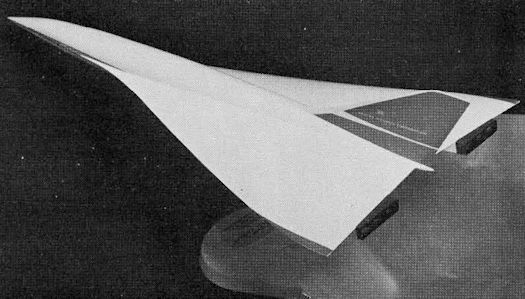 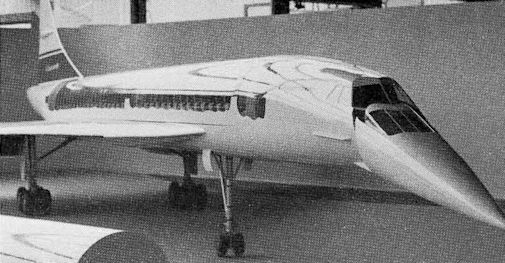 This model of Concorde, displayed at the Paris Air Show, clearly illustrates the revised arrangement of transparencies in the droop nose of the production version. 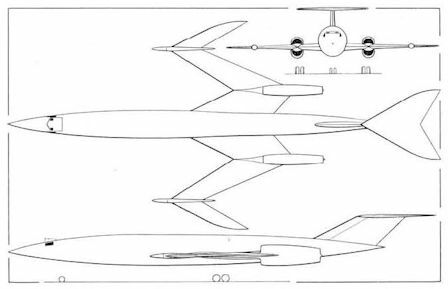 The Bristol 223 in 1961 and (below) the Sud Super Caravelle of about the same date. 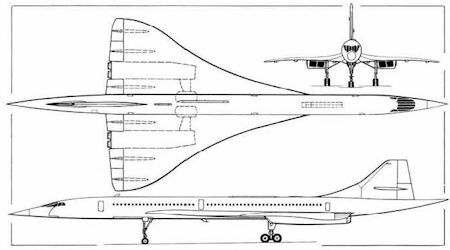 The striking similarity of these two independent designs, which were merged to become Concorde, is obvious. 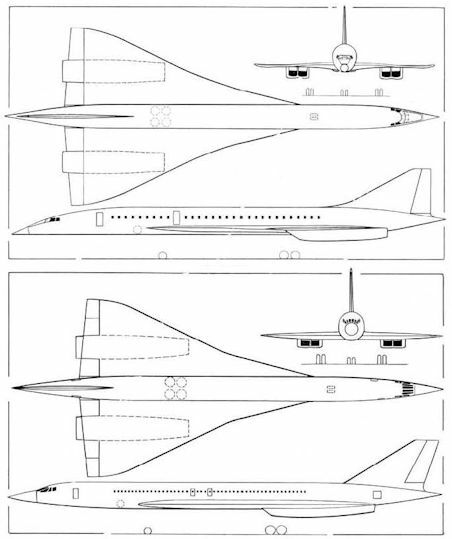 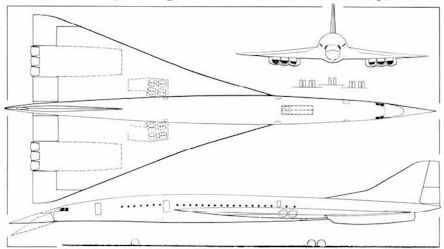 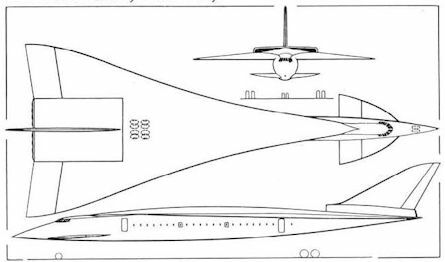 The production configuration of the Concorde is shown here, with the lengthened front and rear fuselage, TRA nozzles and small changes in the wing tips and leading edges.